Estate Planning & Administration |How do I plan an estate? Estate planning is about peace of mind. Handling the estate of a loved one can be an emotional and difficult experience. If you have any concerns about the intricacies of your estate, and perhaps the future security of your loved ones, we help you consider and understand all your choices for estate planning. We focus on wills, trusts and estates, paying a particular focus on drafting wills and trusts, contesting wills as well as all estate administration matters. We take the time to explain how that plan cares for your family and protects your estate. Here at the Law Offices of Michael Kuldiner, P.C. we take our work seriously and our estate planning lawyers will work carefully to make sure that no detail is overlooked when it comes to the planning of your estate. We will make sure that you are well informed about what you can and cannot do with your estate. It is imperative for us that you know your rights and so we will take the time to explain them to you. However, we do understand that sometimes your schedule may be too booked to sit in our offices and discuss your will. That is why we will do our best to work around your schedule with the use of phones, e-mail and fax machines. We make sure that all of the needs of the will are taken of, and you don’t even need to sit and wait at our offices. However, if you prefer to sit down with us and discuss your will in person, then that too, is perfectly fine. We have offices located in Philadelphia and Feasterville for you convenience. 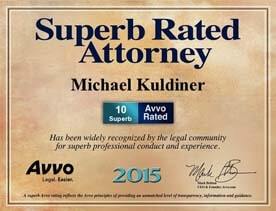 When you need a PA power of attorney form to represent you with your legal matters, contact the Law Offices of Michael Kuldiner, P.C. in order to obtain the best results possible in each case. To arrange a consultation, please give us a call at (215) 942-2100 or contact us by submitting the form at top right.